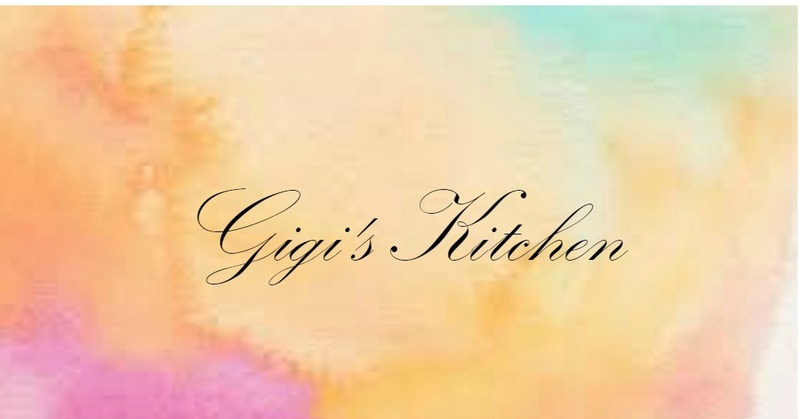 Gigi's Kitchen - My Blog on Cooking, Makeup, Fashion, Crafts and More: Urban Decay Heavy Metal Glitter Liner in "Spandex"
Urban Decay Heavy Metal Glitter Liner in "Spandex"
When I find a glitter I like, I buy it in every shade available! You may think every glitter is my favorite just for the fact that I love all glittery things, but nope. I am actually quite particular with them. They need to feel comfortable when I'm wearing them, stay put on my eyes and not give me a glitter face, apply easily, set fast and obviously be beautiful. 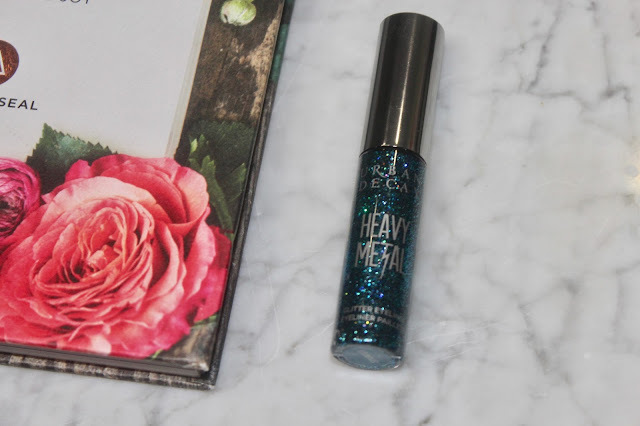 I had 4 different shades of these Urban Decay Heavy Metal Glitter Eyeliner (I've even written my full review here.) I had been eyeing the other shades for a while because of how much I loved the ones I had and finally I gave in and got one more. Because I have brown eyes, I went for a blue one- it makes my eye color pop! This specific shade is blue with green, burgandy gold and deep navy bits of glitter throughout which makes it even more gorgeous when the light hits it. These aren't quite saturated enough for a full glitter eye look or even a precise winged liner but they are very pretty when popped into the inner corner or on the lower lash line. I can take any boring, simple look and completely glam it up with a glitter like this one. So is it worth the $20 pricetag? I think so, yes. I do still search for a slightly more packed glitter liner that can be used to create a full on wing or complete glitter eye look. Have a recommendation for me? Leave it in the comments! Have you given these glitter liners a try? They can be found at Sephora, Ulta, and on Urban Decays site. If you have, do you love them like I do? If you haven't do you want to?